As some of you may know, my family and I are in San Francisco this week on vacation. As the saying goes “The coldest winter I ever spent was a summer in San Francisco.” This quote could not be any more true! It is 54 degrees F right now, and has been 54 degrees all day long. With Dallas reaching temperatures in the 100s, 50 degrees cooler is a VAST difference for me. Unfortunately for me, I only packed two track suits, one pair of jean capri pants, and only one long sleeve shirt. I’ve been so tempted to go buy a fleece jacket, but when I return to Dallas in two days, it seems pointless since I’ll soon be wearing shorts, flip flops, and sleeveless tops. 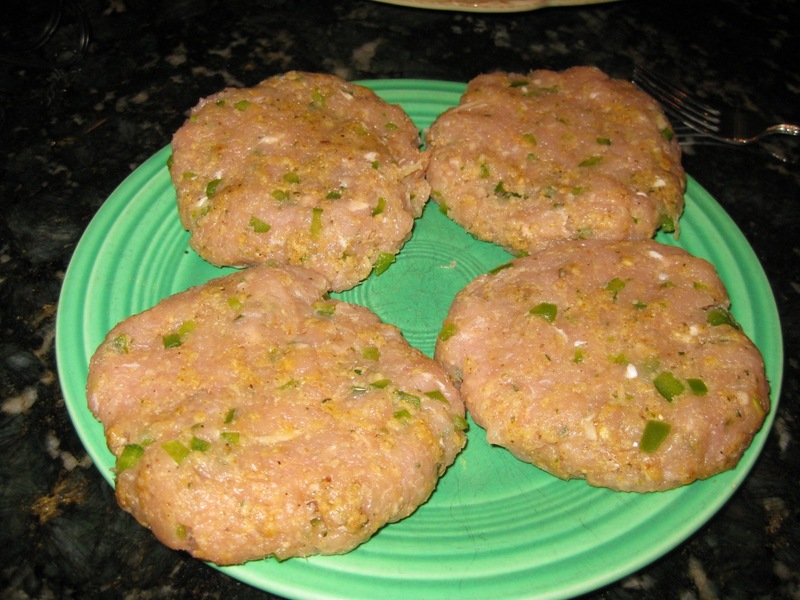 Today’s post is a recipe for Turkey burgers. Since I’ve not tried these yet, my mom will be contributing to today’s post since she has made them numerous times and loves them! 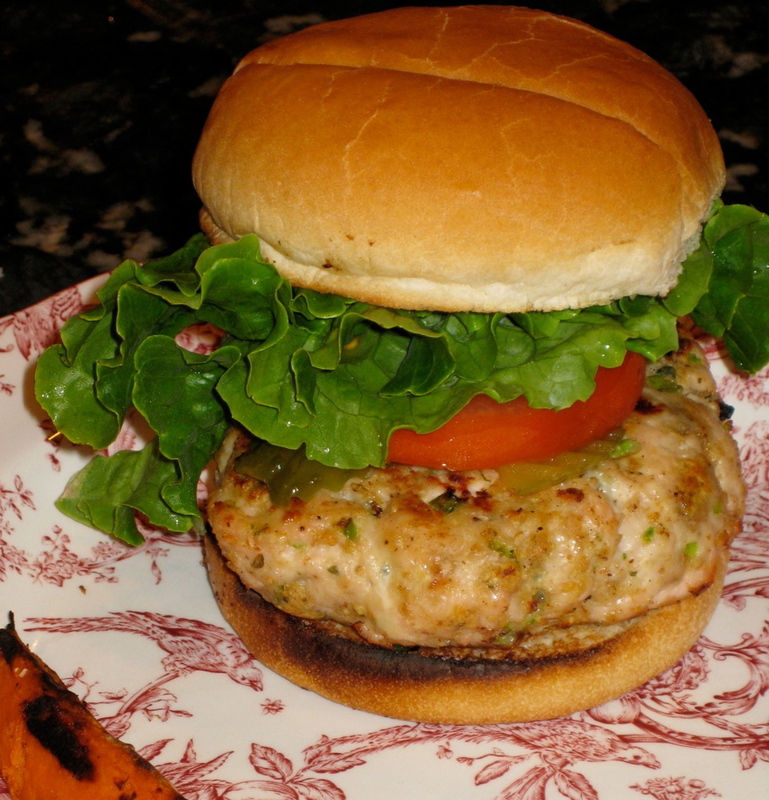 Lauren’s favorite turkey burger with Feta cheese and arugula, makes for a great turkey burger with a Greek twist. 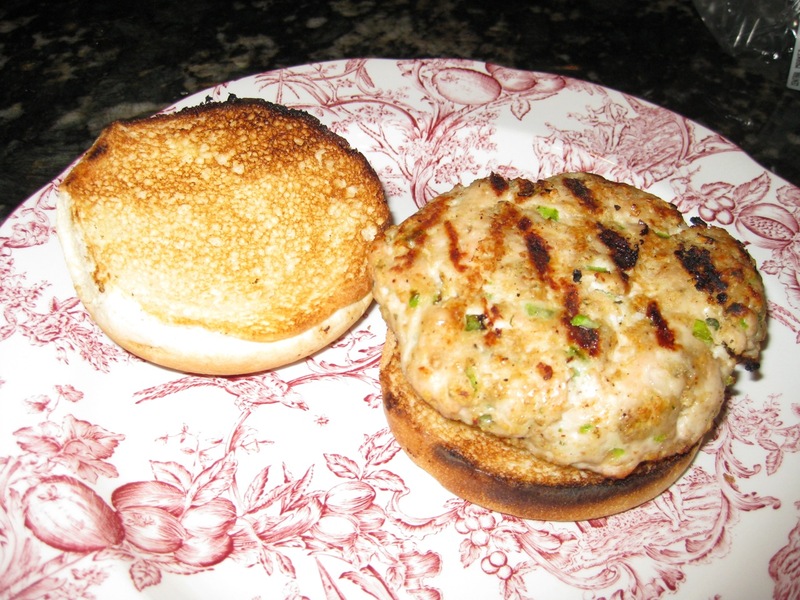 My favorite turkey burger are these Tasty Turkey Burgers from the Southern Living Farmer’s Market Cookbook. We have made these burgers twice in the last few weeks because they are so good. The first time we made them, we also cooked regular beef hamburgers and my husband thought the turkey burgers were the best. They are moist… not dry like one might expect and I love the bell pepper flavor. I toasted the buns on the grill, added mustard and topped the burger with pickles, tomatoes and lettuce. Leftover burgers are even good eaten cold the next day. If you like classic burgers, you can substitute 1 pound of ground beef for the turkey. We have tried that and prefer the turkey. Combine first 7 ingredients. Shape into 4 equal-size patties. Grill for 5 to 6 minutes per side over medium-high heat. Grill buns. Top with toppings of your choice: mustard, onions, lettuce, tomatoes, pickles, cheese, etc. 1. Preheat grill to 350 to 400 degrees F (medium-high). Combine first 7 ingredients. Shape mixture into 4 equal-size patties. 2. Grill, covered with grill lid, over medium-high heat 5 to 6 minutes on each side or until no longer pink in center. 3. Grill buns, cut sides down, 2 minutes or until toasted. 2 Responses to "Tasty Turkey Burgers"
You need a large mouth to eat this burger!